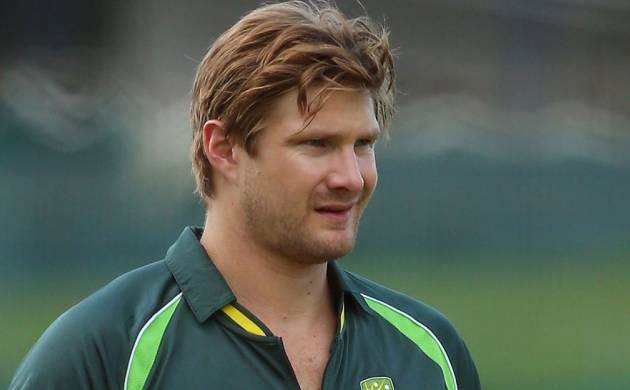 Australian all-rounder Shane Watson has decided to call it a day after playing 14-years for his country. The all-rounder will end his campaign after the ongoing ICC T20 World Cup 2016. Watson one of the best all-rounder Aussies has ever produced. Watson’s decision to retire caught many off-guard at the I S Bindra Stadium. He was seen delivering an emotional speech to his teammates at the start of the practice session on the eve of Australia’s must-win match against Pakistan. His teammates duly applauded when the 34-year-old, who has already retired from Test cricket, was done with his speech. Watson, who made his international debut with an ODI against South Africa at Centurion exactly on this day 14 years ago, said he took the difficult decision after a week of pondering. “It’s been over the last week that it’s really become clear that now really is the right time to retire from all international cricket,” Watson said in a statement. Watson scored 3731 runs in 59 Tests and 5757 runs in 190 ODIs besides taking 75 and 168 wickets in the two formats respectively. In 56 T20Is so far, Watson has scored 1400 runs and grabbed 46 wickets. In the twilight of his career, he mostly played T20s and was also a regular at the Indian Premier League. In fact at this year’s auction, Watson was bought for a whopping Rs 9.5 crore by the Royal Challengers Bangalore. “I’ve been playing with the thought for a few months now and I know now with the way the group is continuing to evolve, which is exciting to be able to see, with my young family as well, and seeing the potential of the international schedule is very hectic. “And I just know it’s the right time to be able to right now clear my mind knowing that I’ve made the decision and be absolutely ready to go for these next two very important games,” added the cricketer, who had retired from Tests at the end of last year’s Ashes. His last ODI appearance was in September when Australia played England at the Lord’s. Watson is a World Cup wining member of the 50-over team which triumphed in 2007 and 2015. He has also played in all six World T20s and was named the player of the tournament in the 2012 edition. He is also the only current player who played with the likes of long retired Australian greats Glenn McGrath, Shane Warne, Ricky Ponting and Adam Gilchrist.